The recognition of the cause of suffering. 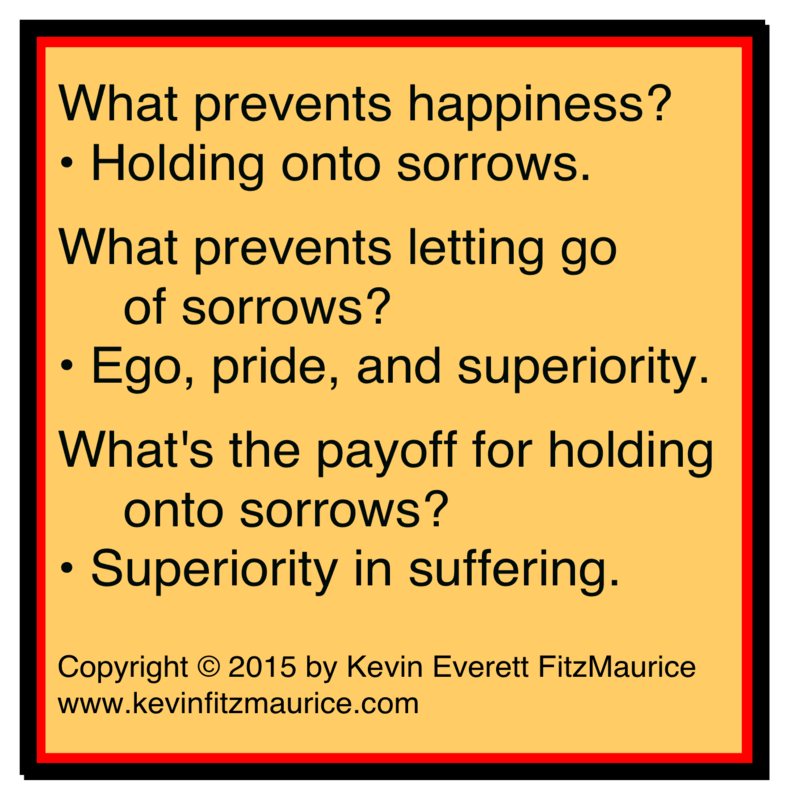 The removal or negation of the cause of suffering. The replacing of suffering with right service, which is the end of suffering. Suffering is the loss of your authentic and original self. Suffering is the loss of your authentic and original nature. Suffering is having awareness of an ego instead of your real self. Ego causes the loss of your real self by having you identify with knowing (claims to know) instead of your inner space and place. Suffering is the loss of the awareness of your self as the host for God. Ego causes your separation from God by making ego your new center. Ego causes service to knowing (false knowing), not self or God. Claiming is the cause of suffering, because ego is based on claiming to know. Claiming is the cause of suffering, because claiming to know causes you to identify with ego, not self. Claiming is the cause of suffering, because separation from God is caused by claiming to know. Claiming causes separation from God by attributing powers and abilities to you that only God has. The cause of suffering is claiming to be a cause, because God is the only cause. The cause of suffering is claiming to be a source, because God is the only source. The cause of suffering is claiming to know something. The cause of suffering is claiming to do something. The cause of suffering is claiming to be something. The cause of suffering is trying to know, do, or be something, because trying requires claiming abilities. The cause of suffering is trying to undo something, because undoing requires claiming abilities. The cause of suffering is promising something, because promising requires claiming powers. Ego desires (pride, covetousness) are a symptom of claiming. While the desire for God is good, the desires of ego serve only separation from God. Clinging is a symptom of claiming powers. Clinging is an attempt to know, do, and be good by holding on to and collecting good thoughts, things, or experiences. Grasping is a symptom of claiming abilities. Grasping is an attempt to know, do, and be good by claiming to be right about what are good thoughts, things, or experiences. Aversion is a symptom of claiming powers. Aversion is an attempt to know, do, and be good by claiming to be right about what are wrong thoughts, things, or experiences. Delusion is a symptom of claiming abilities. Delusion is an attempt to know, do, and be good by trying to do or undo thoughts, things, or experiences. You remove the cause of suffering by continually reducing your claiming to know. You remove the cause of suffering by continually reducing your trying to know. You remove the cause of suffering by continually reducing your trying to undo. You remove the cause of suffering by continually reducing your promises. You remove the cause of suffering by negating any claims of yours to know, do, or be something. You remove the cause of suffering by negating any claims of yours to be a cause of anything. You remove the cause of suffering by negating any claims of yours to be a source of anything. Instead of claiming to be a cause, you give all credit and praise to God alone. Instead of claiming to be a source, you give all thanks and gratitude to God alone. Instead of having your ego at your center, you spend your thoughts and feelings on God, not ego. For more information on the use of the 3Rs (Recognize, Remove, Replace), discover either Garden or Attitude Is All You Need! Second Edition! 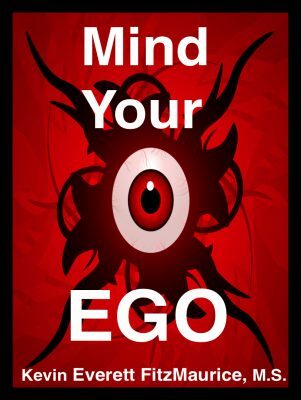 For more information on the nature of ego, discover Ego. For more information on the nature of self, discover Self: Who Am I?